FRANCE has a minister of the Interior called Manuel Valls. He is no longer beloved by all the people who voted for him two years ago and “popularist” and “authoritarian” are often-heard adjectives from his adversaries. Valls also happens to have been born in Barcelona in 1962, the son of a Catalan painter exiled in France. As Anna Hidalgo’s surname suggests she, too, is Spanish by birth and this 55-year-old woman who was born in San Fernando (Cadiz) is well on her way to becoming the first female mayor of Paris. Not easy to imagine French-born politicians occupying the same posts in Spain, is it? ARGUMENTS over money can sour the best of relationships and the relationship between Cataluña and Spain has not always been of the best. Like the Scots they have a lot to forgive but, again like the Scots, much of that belongs to a past they are judging by today’s standards. Money is brandished as a valid motive for Cataluña’s secession from Spain, but are its politicians and economists getting their sums right? Josep Borrell, a former PSOE minister of Economy, later president of the European parliament and now president of the European University Institute, believes not. 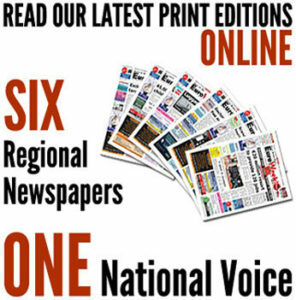 In a newspaper article co-written with Catalan businessman Joan Llorach, he blew a hole through Catalan claims that the region would save €16 billion a year by leaving Spain. Cataluña’s fiscal deficit – the cause of so much heartache and heartburn – is around €792 million according to Borrell and Llorach’s calculations, not the much-quoted €16 billion. And this is compensated by €4 billions-worth of services provided by the central government. No-one could accuse Borrell of doing Rajoy’s work for him, and there’s the old saw about “lies, damned lies and statistics.” But if there’s one thing guaranteed to make Catalans think twice about independence it’s hitting them where it hurts most: in their pockets. 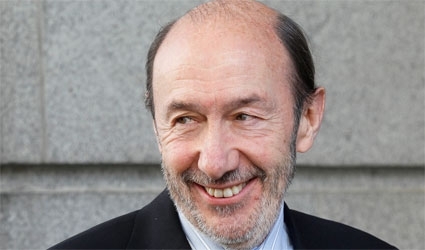 THE PSOE has reluctantly set November as the date for its primaries, leaving Alfredo Rubalcaba to head the party in May’s euro elections. Rubalcaba led the socialists to their worst-ever defeats in 2011’s local and general elections and although the PP is suffering mission fatigue, he is unlikely to shine in May. Carme Chacon, Patxi Lopez and Eduardo Madina are closing on in him, but by the time one of them – or a dark horse – emerges from the primaries, it could be too late to pick up the pieces. THE Church in Spain labours under the misconception that it influences the thinking and beliefs of the majority of Spaniards who seldom set foot in a church except for christenings, weddings and funerals. Cardinal-elect Fernando Sebastian, describing homosexuality as “a deficiency” that responds to “corrective treatment,” won’t get them flocking back to mass either.